Sammy Shine’s life as Hank’s pet mouse was simple and quiet―until Hank’s brother sends Sammy up in a remote controlled airplane and loses control. When Sammy Shine’s plane takes off unexpectedly, he ends up in a whole new world; no longer does he live in comfort in his shoe box in Hank’s room. Now he’s lost in the woods, with no way to get home, and a dangerous enemy. Fortunately, a group of new friends, including a mouse, an injured crow, a newt, and a shrew, will help him find and repair his plane so he can try to get back home. 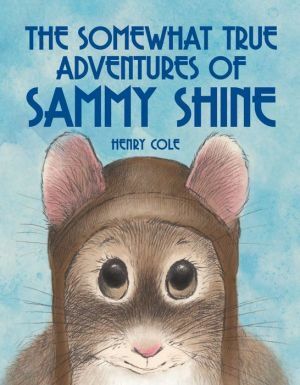 Inspired by a childhood experience, New York Times-bestselling author Henry Cole offers this charming illustrated novel featuring adorable animal characters, an exciting adventure, and an action-packed plot.